Tubal Reversal surgery is medically known as a variety of names, each specific to the exact type of Tubal Reversal being performed: tubotubal anastomosis, microsurgical tubal reanastomosis, microsurgical tubal anastomosis, tubal reimplantation, tubouterine implantation, neofimbrioplasty, and others. Dr. Morice performs all of these specific types of Tubal Reversals using one of three types of surgical set-ups (below). 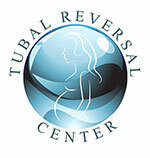 All Tubal Reversal surgeries are same-day procedures that require no overnight hospital stay. They are all done under general anesthesia. Mini-laparotomy is by far the most common and the most affordable option for Tubal Reversal surgery. Mini-laparotomy requires a small, 2-4” incision. The incision is just above the pubic line and below the bathing suit line, leaving no publicly visible scar. Even with the larger incision, recovery time for a mini-laparotomy Tubal Reversal procedure averages only 2 weeks. Most patients return to work within 1 week. Laparoscopy is less invasive than mini-laparotomy. It requires three incisions but they are all very small. Special instruments are inserted into the small incisions, including a microscope, to perform the procedure. Robotic surgery allows Dr. Morice to use even smaller surgical tools and incisions, resulting in a shorter recovery time. This is the least invasive option for your Tubal Reversal surgery, but it is also the most expensive. Dr. Morice controls the tools from a station next to the patient’s bed. Robotics allow for very precise incisions and suturing, also done with a microscope. Patients are typically fully recovered after only 1 week with robotic surgery. Using one of the above surgical techniques, Dr. Morice is able to access the fallopian tubes. He then carefully removes the occluded tubal segments, being careful to only remove as much as necessary. Careful and meticulous surgery allows Dr. Morice to maintain as much of the original tube as possible, significantly increasing your chances of pregnancy. Once the blocked portions are removed, Dr. Morice uses a microscope and surgical tools inserted through the incision to reconnect the remaining tubes. Extremely thin stitches are used to suture the restored tubes. These stitches are absorbed by the body during recovery. The incisions are then sutured using small stitches as well. These will be absorbed by the body in 3 to 4 weeks so that there is no need for removal of any stitch.